Congenital glaucoma, also known as childhood glaucoma, is one of the several different types of glaucoma. Together, they are the second most common cause of blindness in the United States. This form of glaucoma is actually one of the less common types since glaucoma usually affects older adults. Surgery can treat this disease, and it typically has a high rate of success. 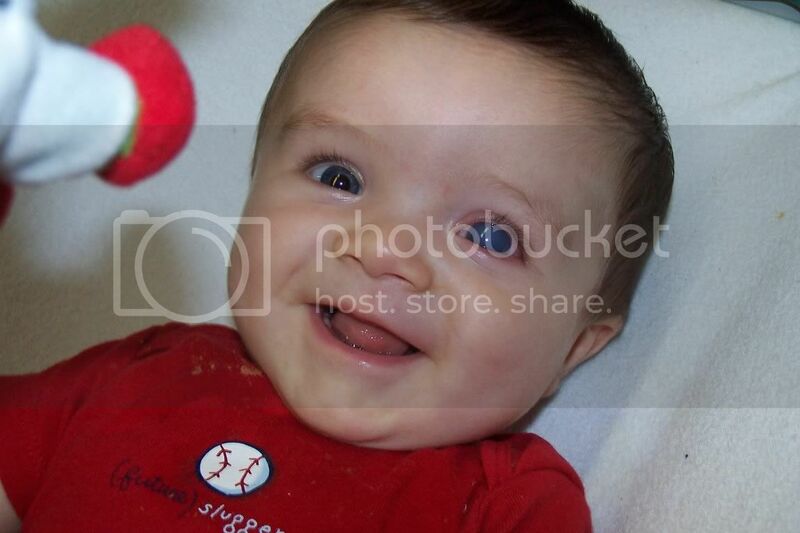 The condition is usually diagnosed during a baby’s first year, which is fortunate. Catching glaucoma early increases the chances of saving at least some of a baby’s eyesight, while untreated glaucoma will eventually and inevitably result in blindness. The following article will provide a brief overview of congenital glaucoma and describe its nature, causes, and treatment options. Glaucoma is a group of eye diseases characterized by abnormally high eye pressure that eventually damages the optic nerve and causes vision loss. A clear fluid called the aqueous humor fills the front part of the eye. Under normal conditions, excess fluid drains through channels between the iris and cornea. In glaucoma, those channels are somehow blocked or slowed, so the aqueous humor builds up within the eye and the resultant pressure eventually damages the optic nerve. The different types of glaucoma can be classified by the patient’s age at the time of onset. For example, a child who develops glaucoma when they’re over three years old is described as having juvenile glaucoma. 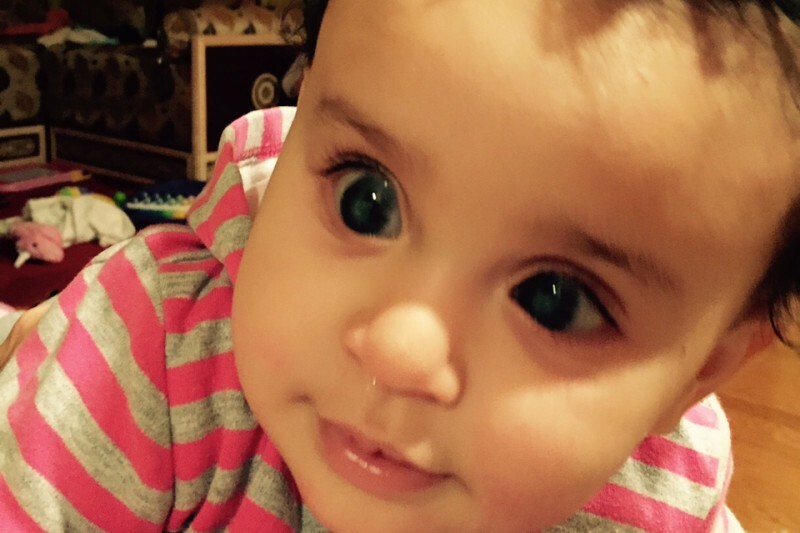 A child with congenital glaucoma is born with the condition. Glaucoma can also be primary or secondary. Primary glaucoma occurs by itself; the baby is otherwise healthy. This condition is rare and occurs in about one out of every 10,000 births. It still accounts for at least 50 percent of all cases of glaucoma in children, and it affects both eyes in about 70 to 80 percent of the cases. Secondary glaucoma occurs as part of a syndrome, which means the child has other associated birth defects. Glaucoma has multiple causes. About ten percent of the cases of primary glaucoma are hereditary, which means the condition runs in families. While glaucoma affects all ethnic groups equally, it is twice as common in male infants as in female infants. Glaucoma is the result of inborn abnormalities in the anterior chamber angle, the part of the eye through which excess fluid drains. The defects block that drainage, so pressure builds up within the eye and eventually damages the optic nerve. Scientists are still researching the genetics of primary glaucoma. So far, they have found several mutated genes in people with glaucoma. In some cases, the genes are recessive, which means both parents must have the defective genes in order to have a child with glaucoma. In other cases, the genes are dominant, so only one parent needs to have the defective gene. Some causes of secondary glaucoma like aniridia or neurofibromatosis are also genetically dominant, so the child has a 50 percent chance of inheriting the condition. Family history and birth order can also affect the chances of a child being born with glaucoma. For example, if a patient with glaucoma has no family history of the disease, their first child has a 5 percent chance of being born with glaucoma. The same is true of their second child. But if both those children are born with glaucoma the likelihood of any subsequent children being born with the condition jumps to 25 percent for each child. • Blephrospasms or spasms of the eyelids. • Haab’s striae (concentric or horizontal streaks in the cornea of the eye). • Cupped or otherwise malformed optic nerve. How Can We Treat Congenital Glaucoma? If the doctor suspects a baby has congenital glaucoma, they will administer anesthesia and then examine the infant for such signs as clouded corneas and abnormally high intraocular pressure. They will also look for damage to the optic nerve. 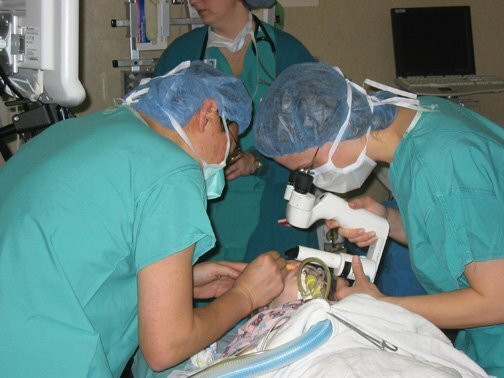 A child with glaucoma will need surgery. The most common procedures are trabeculectomy, trabeculotomy, and goniotomy. They all involve decreasing the pressure within the eye by increasing the drainage of excess fluid. The doctor will administer general anesthesia before performing the surgery. The trabeculectomy or filtration surgery dates back around 100 years. During the procedure, the surgeon carves out small passages in the iris and white of the affected eye to permit the normal flow of the aqueous humor. It is usually an outpatient procedure. In a new variation, the surgeon uses an instrument called a trabectome that generates an electrical pulse and is less invasive than the traditional scalpel. Complications associated with the trabulectomy include cataracts, scarring, and blebs or blister-like bumps. If the surgery has to be delayed for some reason, the doctor will prescribe eye drops or oral medication to slow the glaucoma’s progression by reducing both the intraocular pressure and the clouding of the cornea. The doctor may also prescribe medication after a surgical procedure to keep the intraocular pressure at a safe level. Are There Any Other Options Besides Surgery? If the surgery proves unsuccessful, the doctor might implant drainage or tube shunts. The surgeon installs a silicone tube in the patient’s eye. While complications are not common, they can include double vision, detached retina, drooping eyelids or abnormally low eye pressure. Sometimes, the tube simply falls out. Alternatively, the doctor might destroy the ciliary body that produces eye fluid. During this procedure they might use either an extremely cold probe (cryotherapy), or they might use a laser (cyclophotocoagulation). If congenital glaucoma is caught early, doctors can save the child’s eyesight in about 80 or 90 percent of the cases. Do you suspect your child may be having this disease? If your child has any of the symptoms, ask your obstetrician to recommend an ophthalmologic surgeon. If your family has a history of glaucoma, and you want children, inform your doctor. While there is so far no way to prevent glaucoma, the doctor can be especially vigilant in checking a newborn for symptoms and treat them as soon as possible.